Combine the unrivalled views of the azure Ionian with the cooling breeze of the island’s north coast. On the magnificent island of Corfu on a quiet location, right on the endless beach of Roda & Acharavi the Hotel Coral is an ideal choice for those that would like to combine the unrivalled views of the azure Ionian with the cooling breeze of the island’s north coast. The Hotel Coral is an excellent base for exploring the countless beauties of the island starting from the nearby Kasiopi and the busy resort of Sidari, as well as the nearby Old Perithia village. Roda Resort area: Selection of bars, Tavernas, Supermarkets and other shops within 200m. We provide private service to pick you up from the Airport. Let us know when you arrive and we can make it happen, it’s no big deal, really! 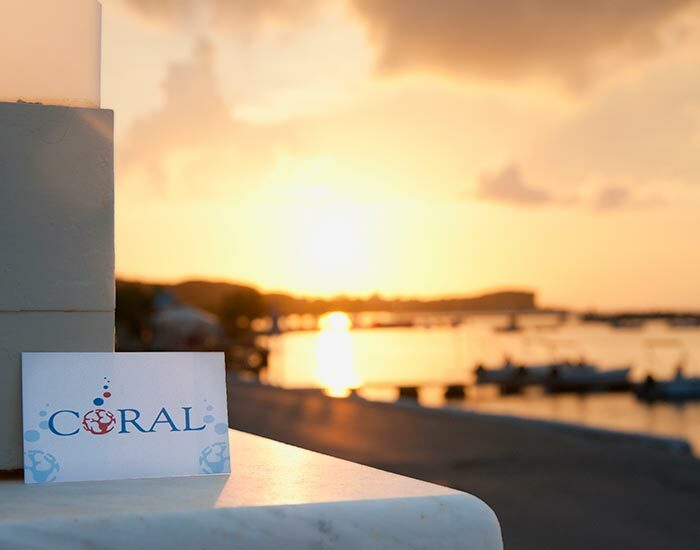 The combination of the excellent location, the nature of Corfu Island, the hotel facilities and the friendly personnel makes Hotel Coral one of the most enjoyable holiday choices.